Fulfilled prophecy is one of the foundational characteristics of the Christian faith. But how many Christians study it, and how many of those who study it actually understand its purpose? 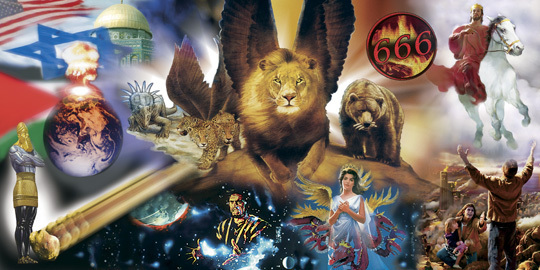 As we begin a new year, let us begin a new attitude toward Bible prophecy. Everybody wants to know the future. Some would use such knowledge to become rich, others to prevent tragedy, and still others to see whether plans made today will work out a decade from now. But Christians have a unique interest in prophecy, since it is one of the defining characteristics of the Bible that puts it in a class of its own among religious writings. But this aspect of the faith that should be to its credit has become one of its greatest embarrassments— not because of failure on God’s part, but on our part. Too many of us not only engage in endless date-setting and wild speculation, but also snarl and hiss at fellow believers who disagree with our own viewpoints, sometimes to the point of calling them unbelievers. Like much of the rest of the world today, Christians seem to have abandoned all principles of sound thinking in favor of fads and wishes. We have begun to equate the cryptic lines of Nostradamus with “This is what the Lord says”. We blindly swallow the likes of the so-called Gospel of Thomas, while also blindly swallowing the lies of Christo-phobic professors who cast doubt upon the Bible without warrant. If we hear some popular self-proclaimed Bible teacher say that there will be no Tribulation or no Rapture, we give up all the scholarship to the contrary without a fight. If we are to consider ourselves followers of Jesus, then let’s follow him who treated Bible prophecy as divine and perfect. The scriptures tell us to “Test everything and keep the best” (1 Thes. 5:21), but we cannot do this without study. We must study what has happened in the past in order to have any clue what unfulfilled prophecies remain. One of the most critical factors determining how we will interpret Bible prophecy is how we view the church and Israel. Someone who believes these two are now one will interpret prophecy one way, and someone who believes they are distinct and separate will interpret it another way. Two people with opposite views on the church and Israel will never, ever come to agreement on prophecy. This, more than anything else, is what drives the wedge between the various Rapture viewpoints. Practically all of the bitter feuds over the timing of the Rapture stem from how people view the church and Israel. But this is not the only issue to resolve when discussing prophecy with other believers. The fact that some consider others unbelievers over their prophecy opinions is a cause of great concern. Too many Christians are so convinced that other people’s views are dangerous or heretical that they treat them worse than they treat the lost, and this horrible example of self-hate in Christianity is one reason many turn away from the Gospel. Even if it were true that someone’s prophecy view is dangerous in some way, and even if it were true that this causes a person to be spiritually lost, shouldn’t such people be prayed for rather than condemned? Do we really think that bashing and mocking is the way to either convince our debate opponents to change their minds or to impress unbelievers to come to Christ? And this is not only a problem among “average” Christians; it is rampant among the teachers. The internet is filled with bitter and hateful screeds over when Jesus will return; what kind of witness is that? And in any given “Christian” message board you will find page after page of self-proclaimed experts in Bible prophecy cursing each other, slandering each other, and mocking each other. What kind of example is that? We rightfully condemn the attitudes and actions of fringe groups such as the Westboro Baptists, but ignore or support identical hate and stupidity against fellow believers with differing prophecy teachings. This hardly means that Christians are not allowed to passionately debate such things; we find examples of such debate in the pages of scripture. Instead, it means that we need to stop acting like gladiators out to kill the opposition, and instead start producing “the fruit of the Spirit” (Gal. 5:22-23). We must remember that 1 Cor. 13 is still in our Bibles. We must stop playing God by presuming the motives of those who disagree with us. We must stop considering ourselves the last line of defense against heresy. We must get out of the Holy Spirit’s chair. Debate ideas, not people. Research every claim. Remember that we are all fallible. But above all, remember that Jesus promised to return when he is least expected (Mat. 24:44, Luke 12:40), and that he’d better not find us beating our fellow servants (Mat. 24:45-51). Humility, not control or conquest, is the first and most important quality of the Christian.